Donald Marinelli is a Professor of Drama & Arts Management and Executive Producer of the Entertainment Technology Center at Carnegie Mellon University. Marinelli has been at Carnegie Mellon for twenty-six years where he served as the Assistant Head of the Drama Dept. (1980-86) and later the Associate Department Head (1986-95). 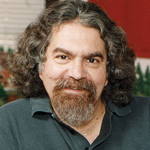 Dr. Marinelli was integral in creation of the Master of Arts Management (MAM) program, the Master of Fine Arts in Acting degree program with the Moscow Art Theatre School in Russia, and, with colleague Randy Pausch, he co-founded the Master of Entertainment Technology (MET) degree program and the ETC. A native of Brooklyn, New York, Professor Marinelli has lived in Pittsburgh for thirty-two years, coming here shortly after completing his undergraduate degree at the University of Tampa. He attended Duquesne University in Pittsburgh where he received a M.A. in Clinical Psychology specializing in Existential-Phenomenological Psychology. Professor Marinelli subsequently attended the University of Pittsburgh where he received his Ph.D. in theatre history, literature, and criticism in 1987 with a dissertation on the Italian Futurist F.T. Marinetti.